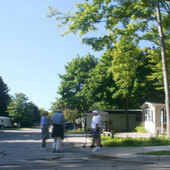 The Village Green is one of West Michigan’s premier Manufactured Home Communities. Located in the beautiful City of Grand Haven, a community recognized in 2005 by Good Morning America’s “Travel Mom” as having one of the top five beaches in the United StatesTravel+Leisure Magazine as one of the Best Secret Beaches on Earth and more recently #2 Best Freshwater Beach in America by USA Today readers. 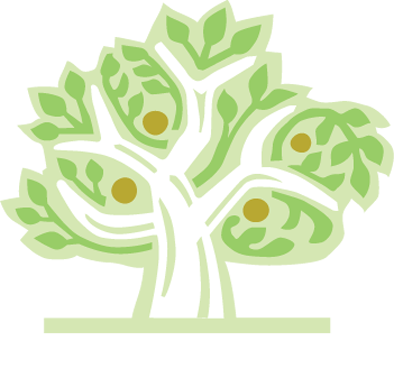 The Village Green is an established community that is locally owned and operated and is 100% owner-occupied. Our community residents enjoy walking the sidewalks and gathering in the community picnic area under a mature tree canopy. At the Village Green you’ll find Home Value, Safety, Community and many Recreational opportunities close at hand. The Village Green is one of the lowest cost manufactured homes communities in the state of Michigan. All homes are owner occupied (no renting) which ensures a safe and lasting value to our residents. Older homes, which do not meet our maintenance standards, are removed which also ensures value for our residents. We have 391 home sites, off street parking, visitor parking, inside storage and outside storage. Safety of our residents is critically important to us, so routine background checks are required of all potential residents. To help you manage your property we offer 24 hour, urgent issue response and maintain relationships with area contractors. As the only Manufactured Home Community in the City of Grand Haven, our community residents enjoy the benefits of a city police force and a full time fire department. North Ottawa Community Hospital provides emergency ambulance service which is staffed by full-time paramedics. The hospital emergency department has recently been updated, ER doctors are all accredited ER Physicians and maintain close ties to the regional medical centers in Muskegon and Grand Rapids. Also available is the new HealthPointe. The Village Green community is very close to schools, shopping, banks and grocery stores and is served by the city’s, on-demand, Harbor Transit bus system. The Village Green falls within the Grand Haven Public School District which has a reputation as one of the best school systems in the state. The middle schools and the high school have placed science olympiad teams within the top finishers in state and national competition with six first place national titles within the last ten years at the high school level. 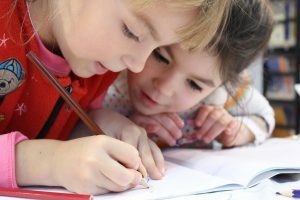 Griffin Elementary is just over a half mile away, White Pines Middle School is just under a mile and the high school is only three miles from our community. The local shopping plaza is under a half mile away with three major grocery chains including two super centers located within 2 miles. These are all accessible by Grand Haven’s on-demand Harbor Transit System. Living at Village Green and as a Grand Haven resident you could be involved in an active arts community. Grand Haven also has a very active senior center as well. Through millage and community support, FourPointes (formerly North Ottawa County Council on Aging) promotes the vitality and well-being of older adults age 50+ by offering life-long learning and enrichment programming, home services, consumer advocacy programs, information and referral services. Situated on Lake Michigan at the mouth of the Grand River, Grand Haven offers year-round recreational opportunities. State, county, township and city parks abound. Bike paths, cross-country ski trails, parks on the river and on Lake Michigan are yours to enjoy. A public access boardwalk extends two and a half miles from the pier head at the Lake Michigan State Park to the downtown shopping district in Grand Haven. The shores of Lake Michigan (salt-free & no sharks) have miles of sandy beaches. For golf enthusiasts, the local Grand Haven Golf Course has been rated among the top 50 public courses by Golf Digest for over 10 years. The annual Coast Guard Festival draws a fleet of US Coast Guard and international ships like the USCG Cutter Mackinaw shown here. 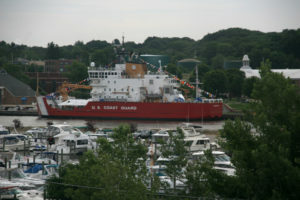 Also known as Coast Guard City U.S.A., Grand Haven is headquarters to the Grand Haven Sector Group and hosts the annual Coast Guard Festival in honor of the service men and women of US Coast Guard. This week long event in early July, culminates in one of the most impressive fireworks displays in the State. In September, the local Convention and Visitor’s Bureau hosts the annual Salmon Festival. This is a three day Wine, Food & Family Fun festival. The Salmon Festival pays tribute to the area’s bountiful, natural water resources, while coinciding with the region’s annual Salmon migration. Since 2007 festival organizers have been working towards Zero Waste Sustainability and in 2015 reached a 97% goal of compost or recycled waste. In order to experience this all yourself, call 616-846-1020, or e-mail us at info@villagegreengrandhaven.com. We’d be happy to have you visit and we’d love to show you around. 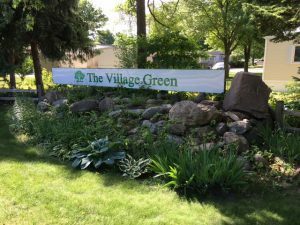 Browse through our website, we’re open 24/7 at www.villagegreengh.com. If you’re considering our community, here are a few area links to see what life could be like as a resident of our community.